What are the best deals on PS4 games this Black Friday 2018? If you're looking for discounts on the hottest PlayStation 4 titles, from God of War through to Marvel's Spider-Man and beyond, then bookmark this page, as we'll be adding additional lightning deals and Black Friday bargains over time. We'll also be including PSVR games deals on this page, so if you're a PlayStation VR early adopter or long time fan, you'll find great offers here. 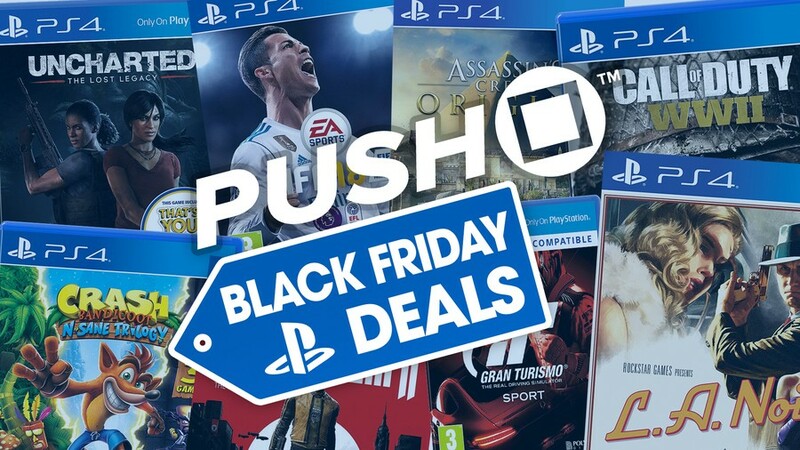 If you're looking for more general promotions, then you can find the Best Black Friday 2018 PS4 Deals USA and Best Black Friday PS4 Deals UK through the links. Also, be sure to browse the Best Black Friday 2018 PS4 Bundles, the Best Black Friday 2018 PSVR Deals, Best Black Friday 2018 PS4 Controller Deals, Best Black Friday 2018 PS Classic Deals, and the Best Black Friday 2018 PS Plus Deals through the links. Below are the best Black Friday 2018 games deals for the PS4 and PSVR in the USA. We'll be updating this list regularly, so check often for more discounts and offers. Below are the best Black Friday 2018 games deals for the PS4 and PSVR in the UK. We'll be refreshing this list regularly, so check often for more discounts and offers. I just picked up Detroit from smyths toys for 14.99. It was 13.99 in Argos but appears to be sold out across the country. The Witcher 3 GotY for only £13.50 is a fantastic price - the DLC Season Pass was £20 let alone the individual prices. For the 'best' game this generation (in my opinion) and certainly the best DLC (Blood and Wine is better than most games let alone DLC), that is a BARGAIN!! Black ops 4 is £30 in tesco, and AC:odyssey is £29 i think.